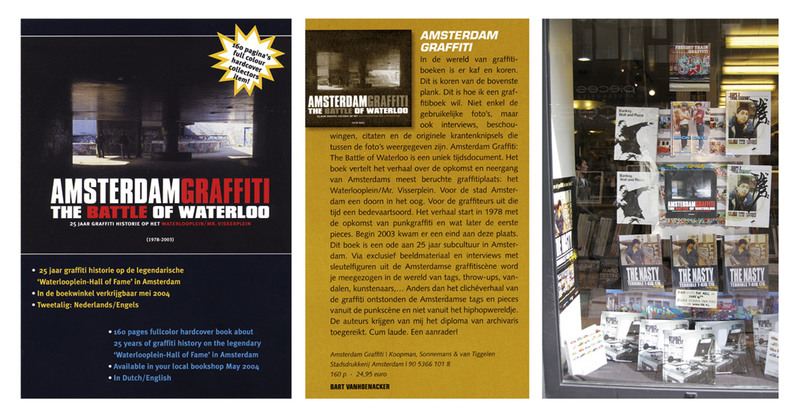 Amsterdam Graffiti – The Battle of Waterloo shows an unique reflection of an era. 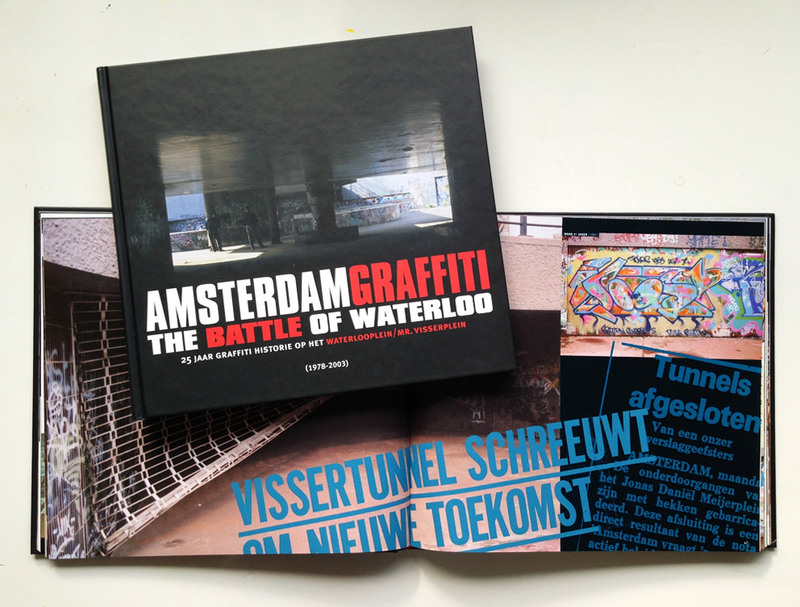 The book is about the rise and fall of Amsterdam’s most infamous graffiti free haven at the Waterlooplein which was located in the centre of the city from 1978 untill 2003. The Waterlooplein/Mr. Visserplein was for years a thorn in the flesh of the local authority. 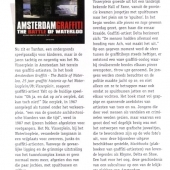 At the same time this area was a pilgrimage for graffiti artists from all over Europe. 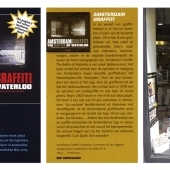 In the beginning of 2003 this legendary ‘Waterloosquare Hall of Fame’ was forced to disappear, which put an end to all ‘battles’ graffitiwriters fought among themselves, against the city and against the police. 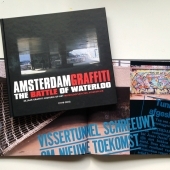 It particularly put an end to the battles between the various graffiti styles that dominated the walls of the square for a period of 25 years. 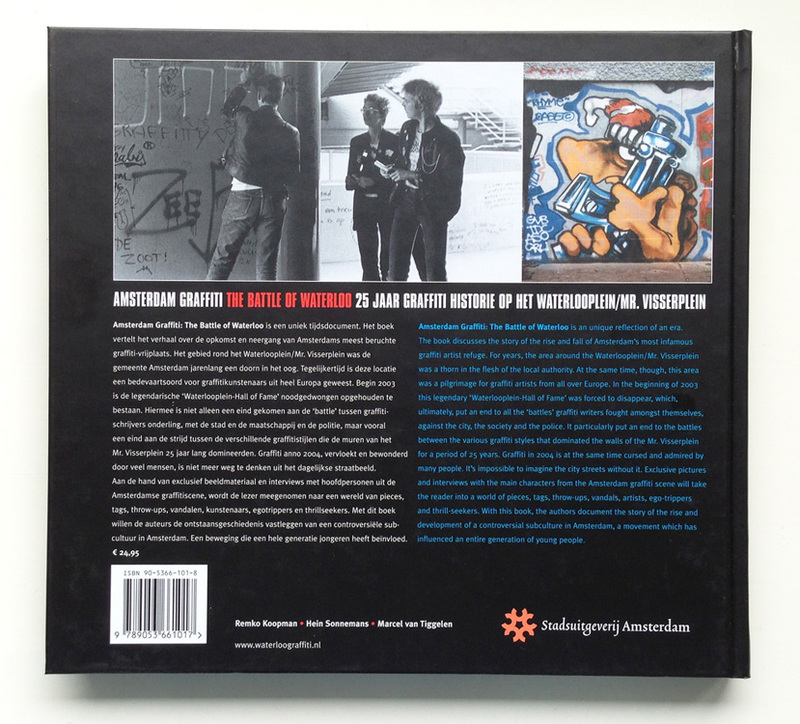 Exclusive pictures and sketches from private collections and interviews with artists such as Niels ‘SHOE’ Meulman, Boris ‘DELTA’ Tellegen, CAT22, RHYME, HIGH, PENGO, OASE, ZAP, AGAIN, SERCH and SUEZ have turned this book into a cultclassic. 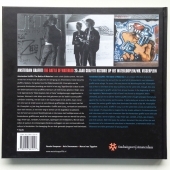 The book has been sold out for a couple of years and turned into a collectors item.